Got an aching back? You are not alone. It's estimated, 8 out of 10 people will be affected during their lifetime. Problems from back pain are the most common physical complaints among American adults and are a leading cause of lost job time. However there are measures you can take to prevent or lessen most episodes. On Health Link we examine the latest in treatment and take a look at some alternative ways to help you manage, from acupuncture to yoga. 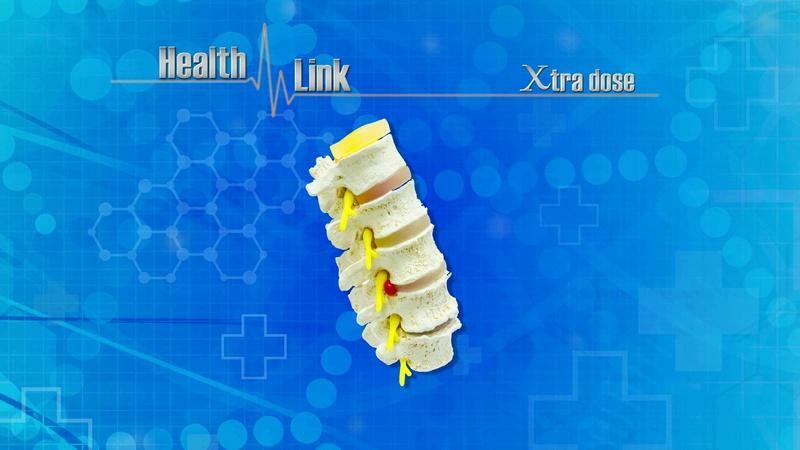 Learn more about back and spine health and how to relieve pain. Learn why yoga is important to back and spine health. Dr. Robert Cheney joined Bone & Joint /Capital Region Orthopaedics in 1996 and specializes in Spine Surgery. Dr. Cheney is a Clinical Assistant Professor with the Department of Orthopaedic Surgery at Albany Medical Center. Roland MacPhee has successfully been treated for his neck pain. Jennifer Meehan suffered back pain and found relief through yoga and now leads yoga classes. She has been a student of Iyengar yoga since 2008. In addition to her yoga teacher certification, Jennifer has completed Yoga for Scoliosis training with Elise Browning Miller. She currently is leading a 6 week series, Yoga for Back Care, at The Yoga Loft in Albany. Dr. Kokwai Yap is board certified in Physical Medicine & Rehabilitation. He is also certified in acupuncture. He has a private practice in Clifton Park, NY. Catherine Cassidy utilize acupuncture as a tool to help her maintain her back health and strength.